The very first page of my 2017 bullet journal is a yearly overview. The bright colors are inspired by Amy Tangerine on YouTube, who uses the Tombrow Dual Brush Pens* for her spreads. My sister only had three colors from the Advanced Lettering Set*, besides clear and black, so I also used her Koi Sakura Markers*. 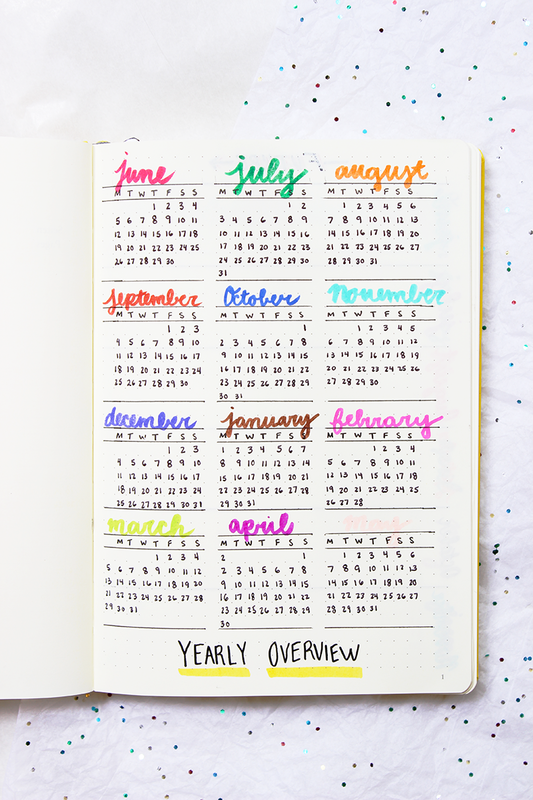 I messed up a little by drawing the lines of the monthly calendars a little longer, but I was able to fix it; I am really happy how the spread turned out. Then I have these content pages for blogging purposes from the months of June 2017 to January 2018. I copied these pages from Lily Pebbles' video about her Bullet Journal Set-Up. Click here to be taken to the exact time she talks about this spread. I used the same Koi Sakura Markers and Tombrow Dual Brush Pens. Here I have a statistics page, also copied from Lily Pebbles. 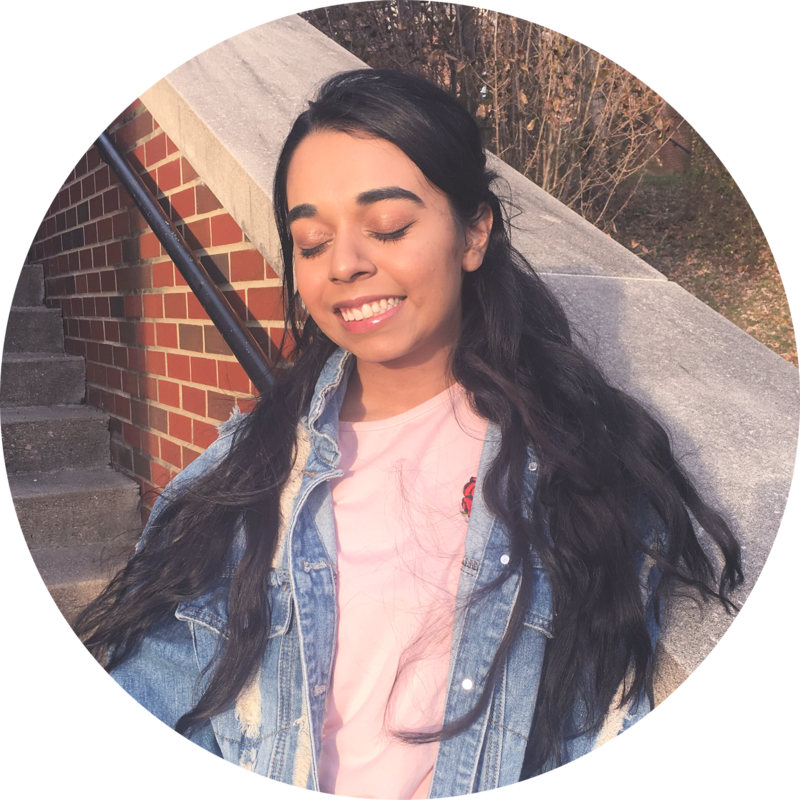 At the moment, I am trying to focus on Bloglovin', Instagram, and Pinterest, while also keeping attention on YouTube. This is probably my favorite spread from my 2017 journal set-up. 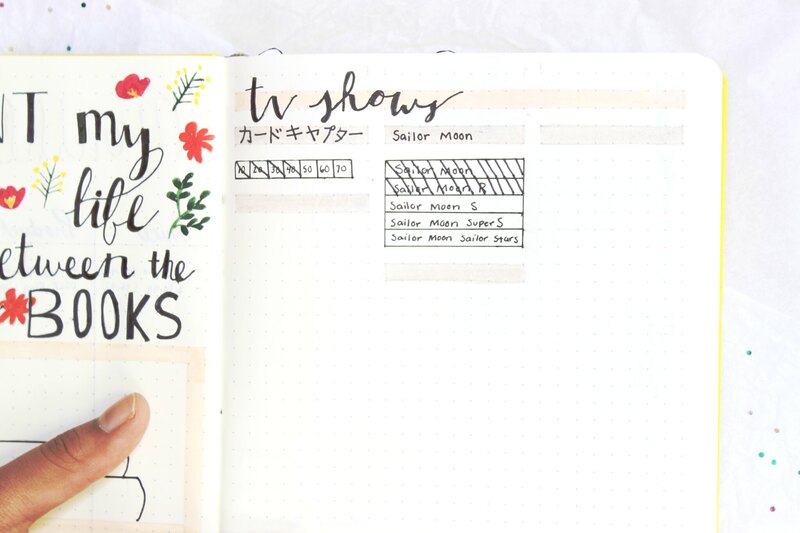 It was inspired by this picture from The Bullet Journal Addict. 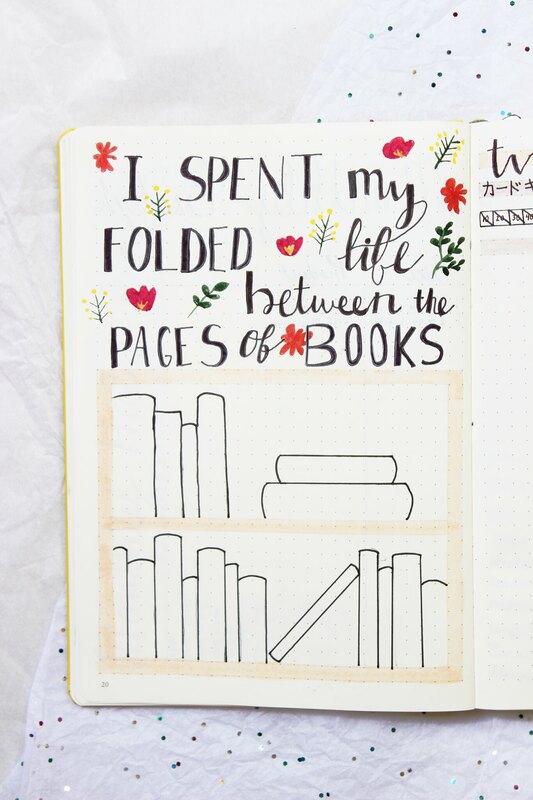 The word order of the quote may be confusing, but it basically says "I spent my life folded between the pages of books." 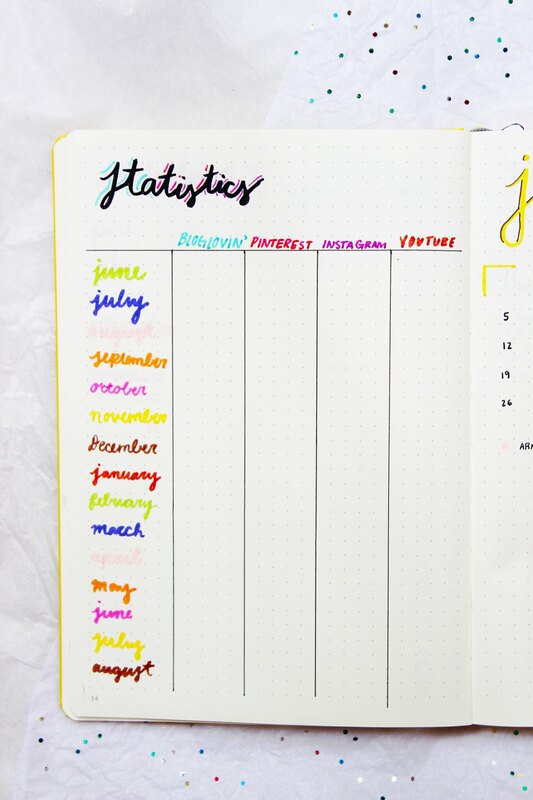 I highly suggest checking out The Bullet Journal Addict's blog because she has so many resources and inspiration for creating your own bullet journal. I really enjoy how she utilizes colored pencils. Next to my books to read page is my tv shows page. Obviously, I am watching two classics at the moment: Sailor Moon and Cardcaptor Sakura. I have been watching Sailor Moon for a long time, but seasons 3-5 of the new Viz Media dub is not available on Hulu. So, I have to save up to buy the box collection. I have been trying to practice drawing and just being overall creative with my bullet journal. 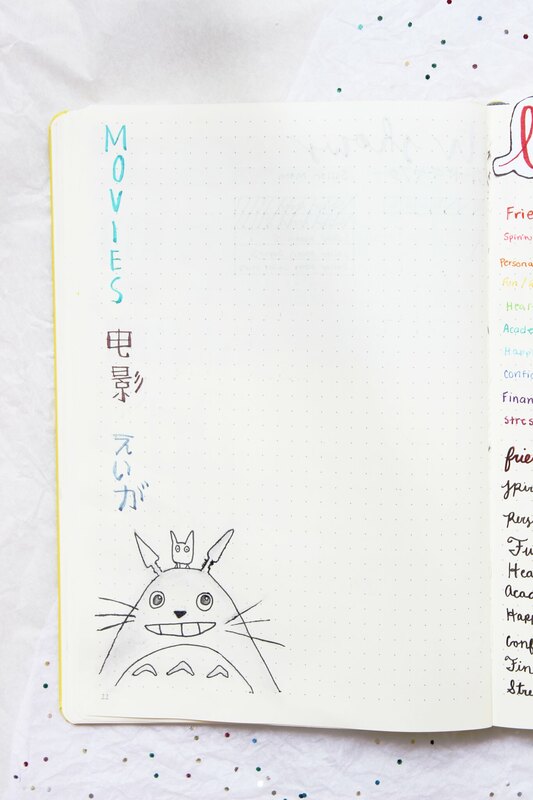 I also used my Sai Water Color Markers*, which is fitting because Studio Ghibli movies are created using watercolor drawings. Something new I am trying is the Level 10 Life spread. Which just tracks your life in the following categories of friends, finance, confidence, etc. It also shows where you need to improve your life and where to cut back. Honestly, this spread seemed so complicated and confusing to me in theory, but it is actually quite useful. 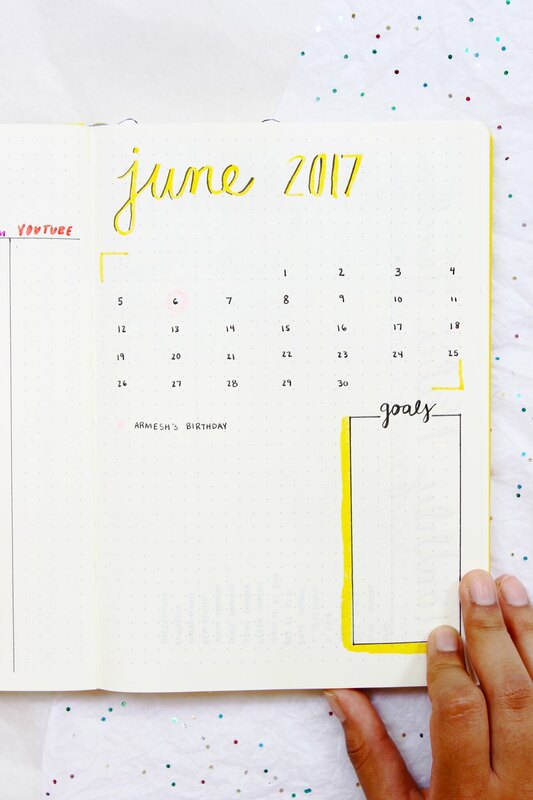 Which brings us to the last page I want to show you, which is my June 2017 month at a glance page. It is quite simple compared to my school one, but I think it gets the point across. 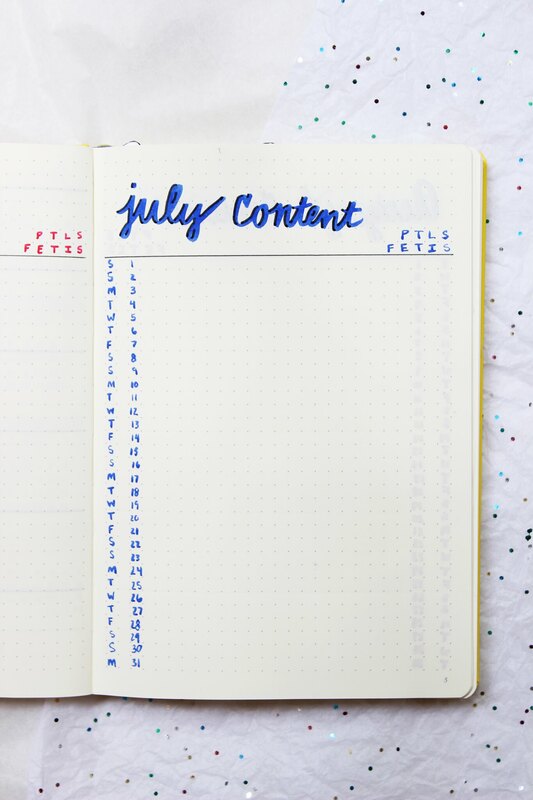 At the end of the month, I will be giving you guys a bullet journal update, which will be more of a life update. I hope this post gave you some studyspo and journal inspiration. 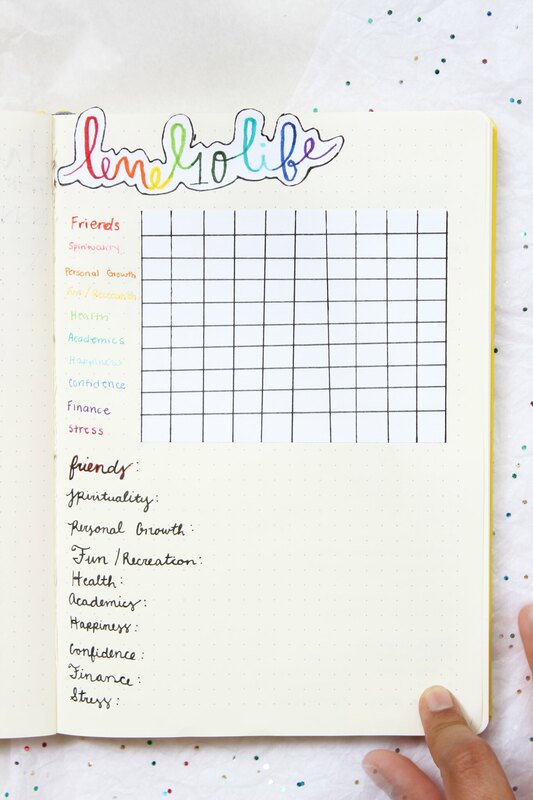 I know bullet journaling can be intimidating, but it is actually quite easy. Also, thank you for the warm responses on my previous post: PALETTE. I am excited to create a new one. If you have any recommendations on what makeup look I should do next, let me know!